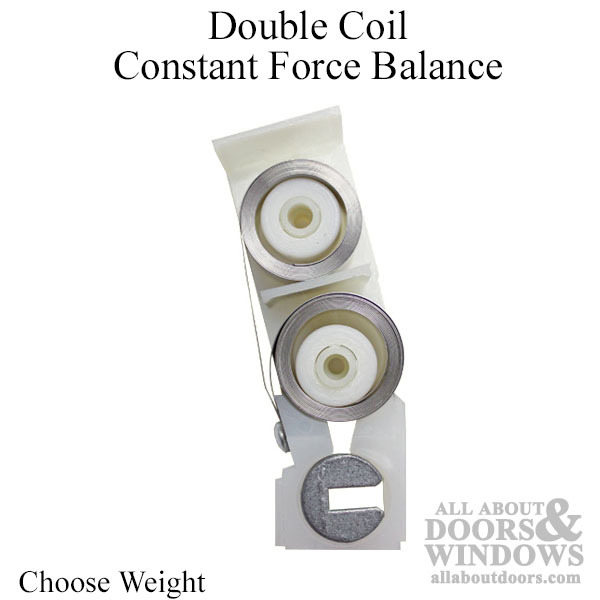 Certainteed double coil constant force balance system for double hung windows. These balances are available in single, double or triple coil. 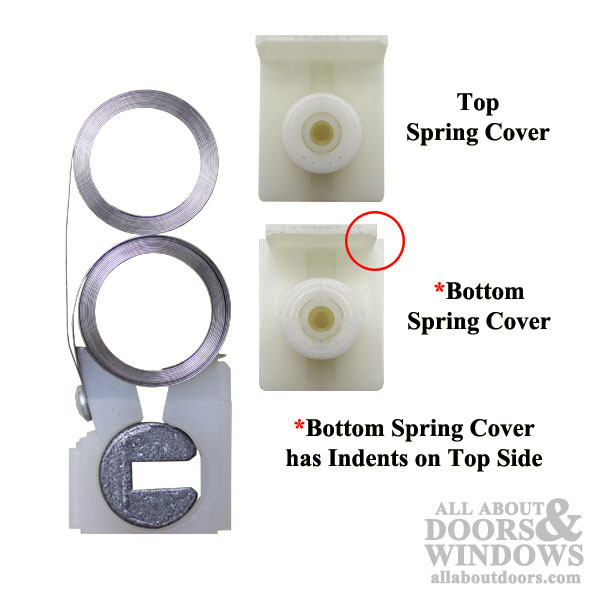 This design offers an easier opening and closing of double hung windows. The system will work best if you replace both sides. Each 3/4 inch wide coil spring has a number embossed on the side that determines the strength of the balance coil. They may have one or more coils and the coils may have different numbers on each coil if used in double or triples.